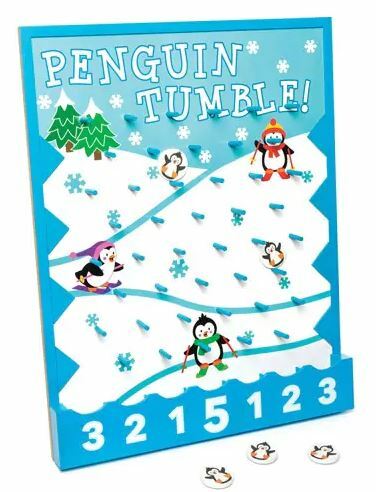 Easy game for young children, great for Christmas Bazaar, etc, as a fundraiser. Wooden game board with 8 wooden game discs. Drop a disc from the top and score according to where it lands. Score 8 or more to win!